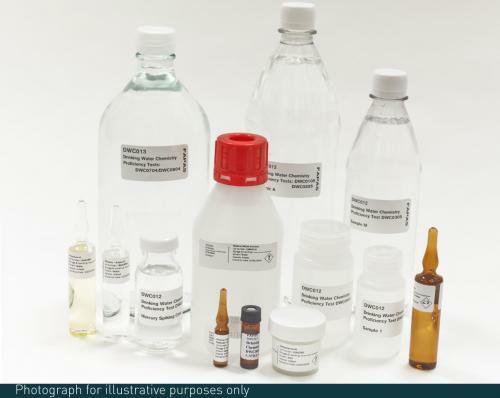 Test materials supplied are deionised water + spiking concentrate in acetone. The quality of drinking water is highly regulated across the world with chemical contaminants such as heavy metals or pesticides thought to be responsible for long-term health implications. 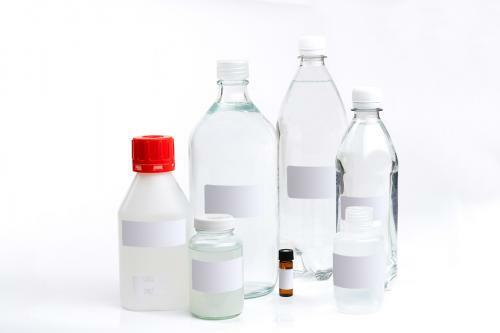 Some chemical contaminants can be indicators of environmental pollution at the source of drinking water, which can have large implications on both the safety of the water and the overall quality. 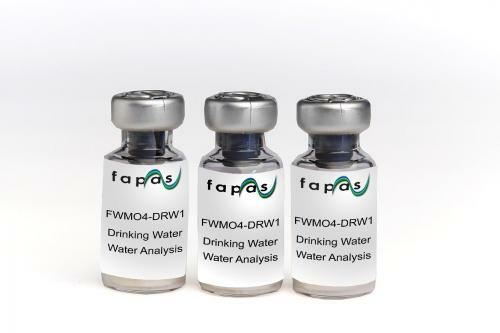 Fapas Drinking Water proficiency tests provide whole volume drinking water samples with a wide range of routine and non-routine chemical components to challenge your testing practises to inform your quality control processes, maintain your testing accuracy and promote continuous improvement over a large number of analyte/matrix combinations. Flurosurfactants are synthetic organofluorine chemical compounds that have caught the attention of regulatory agencies because of their persistence, toxicity and occurrence in the blood of general populations. It is therefore fundamental to utilise our proficiency tests in order to establish whether there are flurosurfactants in the drinking water. Proficiency testing activities are important to ensure only high-quality testing measures are used to highlight any potentially unsafe levels of a range of indicator organisms within this drinking water matrix. This can allow you to highlight any potential areas of improvement within your testing solution, to maintain the high-quality testing abilities your regulators, currently enjoy.